Weather-proof labels and tags for your nursery applications. 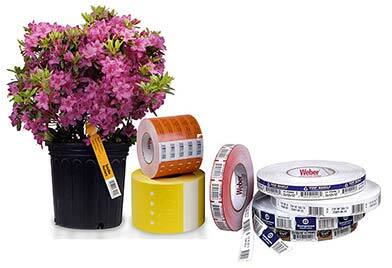 Whether you're labeling agricultural products, seeds or tagging plants and lumber, Weber has a solution to fit your needs. Make it easy for your customers to see pricing and species information on labels and tags that won't fade or fall off in harsh environments. Nursery tags and plant labels need to be able to handle exposure to all types of weather conditions plus direct sunlight and constant watering. Our polytag material can stand up to the job plus you can print variable information on-site with our thermal label printers equipped with durable thermal ribbons. Use long-lasting Polytag label material for finished lumber in a harsh environment. If you are tagging and labeling finished lumber for a home center or your own lumber yard, you need easy-to-read labels that will last. Harsh environments can take a toll on labels and your bottom line. Bar codes need to be readable from assembly line to customer check-out. We can help. Weber prints lumber labels and tags using our Polytag material that is weather-proof and built to last. We can print your labels and even help you attach them to your finished products using Weber's Fastagger label tagging tool. • Tags and labels suitable for outdoor use as plant stakes, lumber tags and nursery tags must be made of durable materials like our polytag facestock. • When printing variable information on a tag or label, such as bar codes, plant care instructions, and pricing, be sure to use a weather-resistant ribbon for you thermal printer. 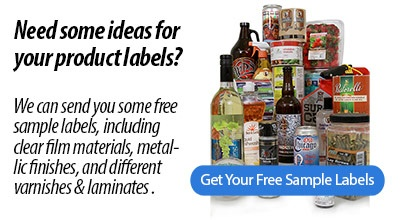 • You can add a laminate or spot varnish to areas of your label to highlight specific features. • Booklet labels can add additional pages to your label that can contain additional plant care information and planting tips. • Add a QR Code or SnapTag to engage with your customers. Video: How is a pressure-sensitive label made?